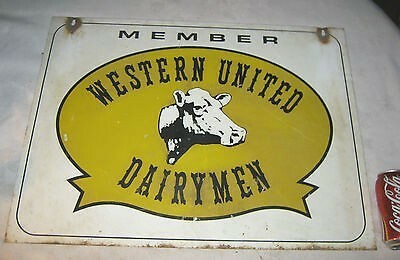 This Western United Dairymen sign measures 24″ by 18″. The sign has a cow in the center on a yellow background. This is a “Member” sign.